We design websites for conversions. We call this “Conversion Rate Optimisation” or CRO for short. Adding people and humanising your page always improves sales response. However, the way you use them in your design makes all the difference to your results. 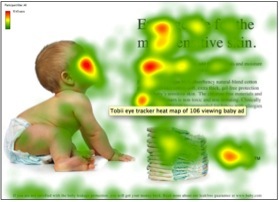 Heat Maps are used to understand where people focus their attention on a web page. Here you can see the main hot spot is on the baby’s face and not on the text to the right. 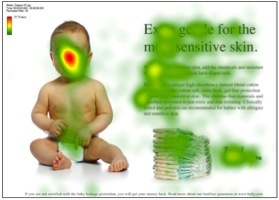 Change the orientation of the baby’s gaze and now people follow the baby’s eyes and focus on the headline and copy. What a difference. This study was first published on usableword.com.au in 2009. In 2007 Obama’s online team used Conversion Rate Optimisation tests to decide on key Landing Pages that resulted in an extra 2,880,000 email addresses and $60 Million. 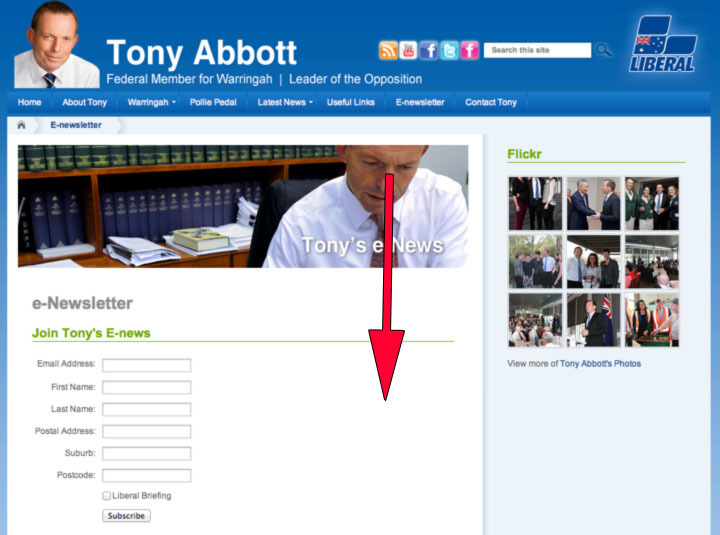 So they know how critical a well optimised page is to the success of an online campaign. 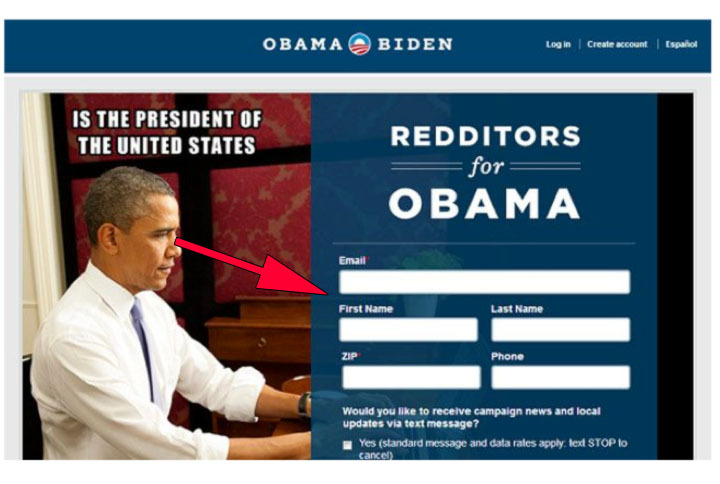 You can see how Obama’s team are using this exact “line of sight” technique to get maximim conversions from this Landing Page during the 2012 elections. The zen10 team has been applying these insights to our website designs for many years. This is what makes us stand out from other web design / development companies and why we get results. Here are actual results we have achieved for our clients over the past 30 days. 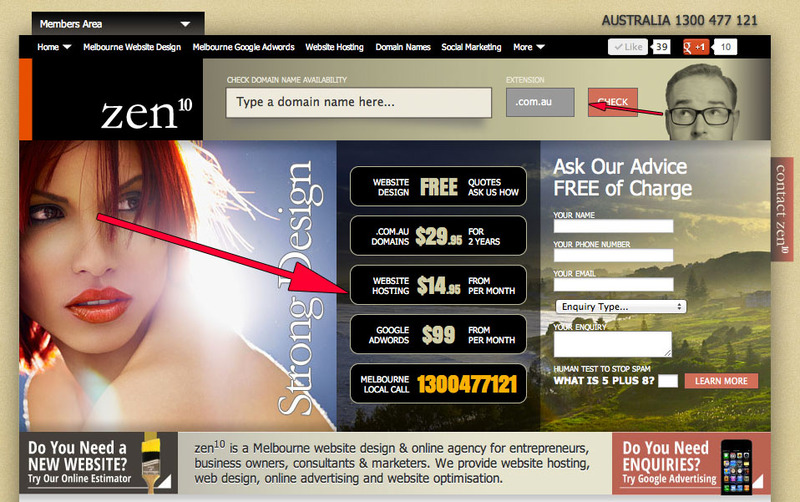 Melbourne Carpet Cleaner gets 17.82% Conversion Rate for visitors to their zen10 website. 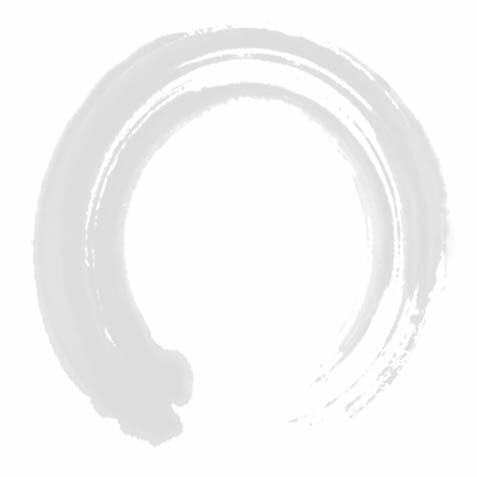 Zen10 can help redesign your website using CRO techniques to get the greatest sales response from your visitors. If you are using AdWords we can optimise your Landing Page design for conversions. This can mean the difference between average campaign results and an out right winner. You will get the idea……the eyes have it.